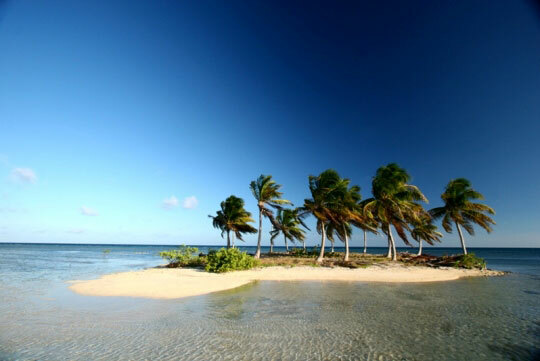 The islands of Turneffe Atoll are considered by most to have the best resort-based diving that Belize has to offer. 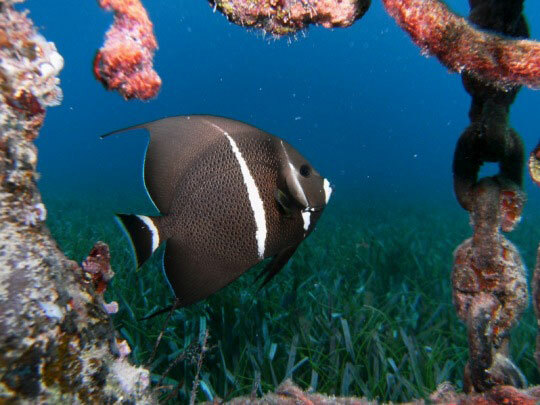 Its dive sites lie in a conservation area and are suitable for every level of diver; the western side has shallow reefs that are perfect for novices, while the varied topography on the east side is more suited for the seasoned diver. 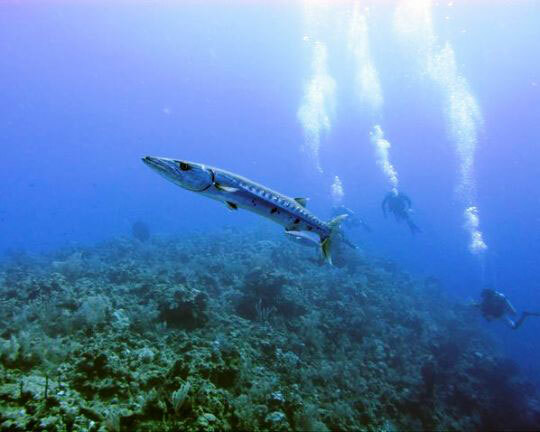 Wrecks, drop-offs and sometimes strong currents can make for some challenging dives, but sightings of large fish are frequent. 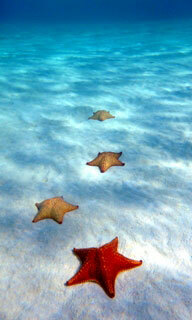 Spotted eagle rays, turtles and blacktip sharks are common visitors to Turneffe's reefs. 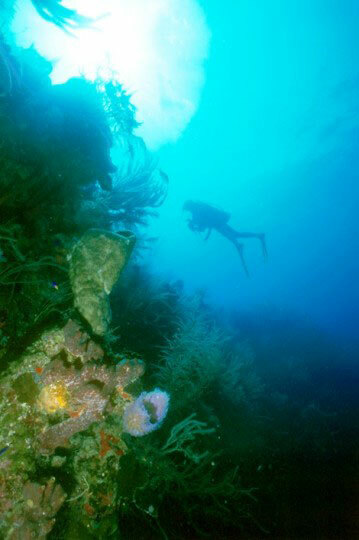 The highlight of diving at Turneffe, and one of the best sites in Belize, is The Elbow. This exposed southern point is a congregation area for for large schools of jacks and snappers, thousands of groupers come here to spawn, and sharks and rays are also attracted to the area by all the fish action. It's a 'must do' dive site. Around 450 hundred mangrove covered islands interspersed with creeks and picturesque lagoons make up Belize's largest atoll. Lying just a short boat ride east of Belize City, the islands of Turneffe that make up the atoll are 31 miles (50 km) long and 9 miles (15 km) across. Away from the crowds and with some of the Caribbean's best diving right on your doorstep, this unspoiled natural paradise is equally stunning, both above and below its nutrient rich water's surface. 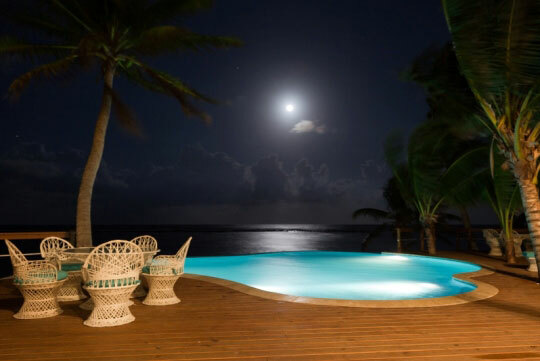 Turneffe Atoll resorts - Considering the absence of infrastructure out here, the resorts all have surprisingly high standards of accommodation and facilities. Our range runs from a deluxe resort option in the south to more affordable beach cabana style accommodation along the atoll's eastern coast. There is no center of activity on Turneffe Reef Atoll so you can expect a laid-back resort experience wherever you choose to stay. 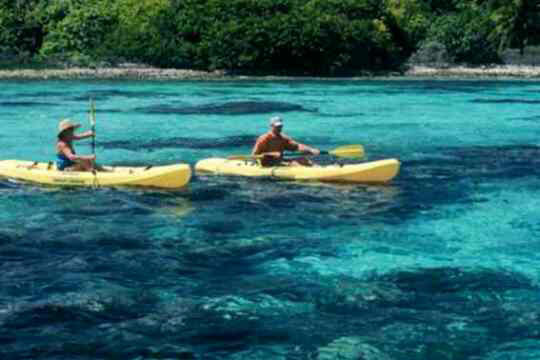 Each resort though boasts a swimming pool and some encourage other adventure activities that are suitable for exploring the natural surrounds of the atoll, such as canoeing, snorkeling, fishing and manatee spotting, although scuba diving remains the main focus of all the resorts. 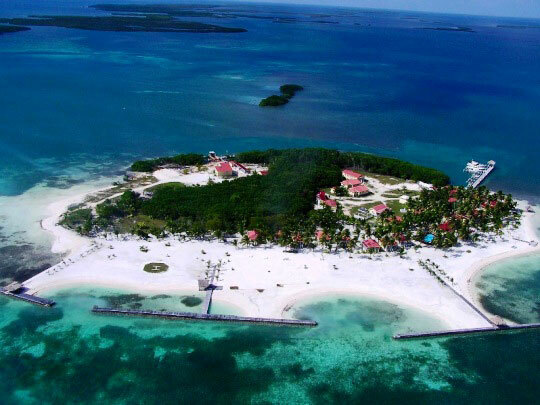 Daytrips to Belize's best known sites at Lighthouse Reef, including the Great Blue Hole, are arranged once a week and are often included in your package. [More information on these dive sites: Turneffe Atoll, Lighthouse Reef, The Blue Hole]. 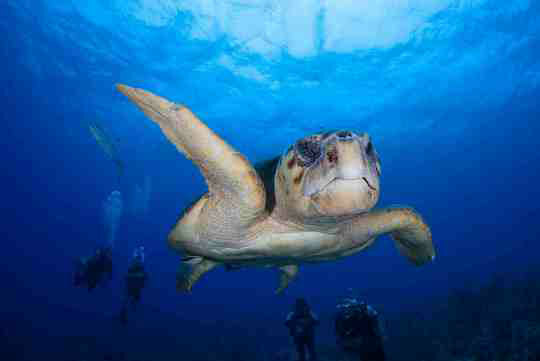 With over 70 different sites to dive at the atoll, stays of 1 week are ideal although shorter stays are possible too. 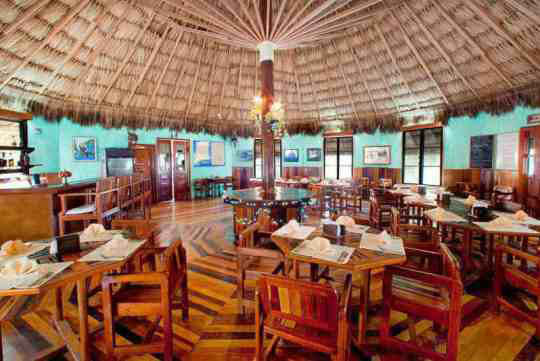 Packages are normally inclusive of full board accommodation, diving and boat transfers from Belize City. 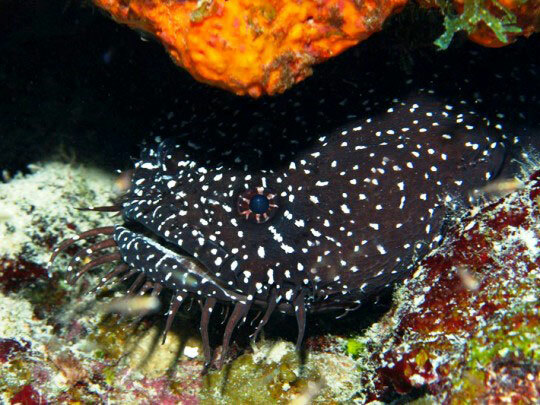 If you prefer, it's also possible to dive these sites on a liveaboard diving trip, including the sites at Lighthouse Reef and the Blue Hole. Turneffe enjoys a sub-tropical climate, lies in the belt with the least rainfall in the whole of Belize, and enjoys plenty of sunshine throughout the year. The pronounced dry season runs from January through May and the rainy season is between June and December, with a mini-dry period in July and August, followed by the tropical storm season in October/November. The mean annual temperature is 80°F (27°C), fluctuating from a maximum of 85°F (29°C) in June and August to 75°F (24°C) in December. You can dive in Turneffe Atoll all the year round although Christmas through to the end of April is often noted as the high season. 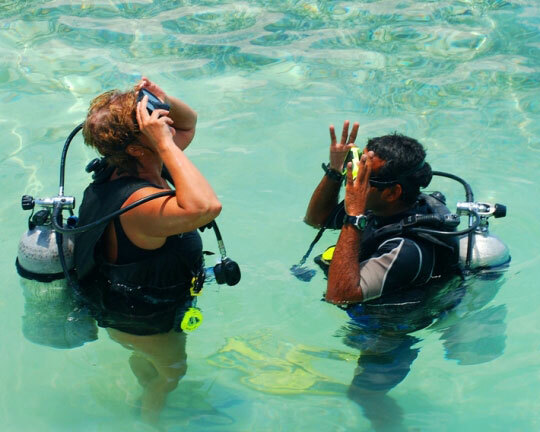 There are also some seasonal factors that may affect your preferred time to travel so please check our dive site descriptions for more details on these. Usually, any passing tropical storms just mean the switching of scuba diving activities to the more sheltered western coast of the atoll. 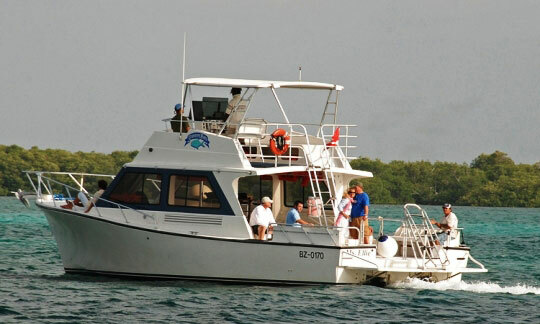 All of our resorts at Turneffe Atoll supply free boat transfers from Belize City. 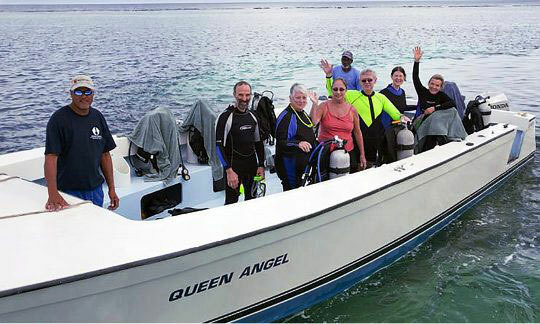 It's a scenic 1 hour 30 minute journey, taking you through one of the cuts in the barrier reef and close to some of the cayes before meandering your way along the mangrove-lined creeks to your resort. There is also an airstrip located on Blackbird Caye which allows for the option of a short flight from Belize City for guests staying there. 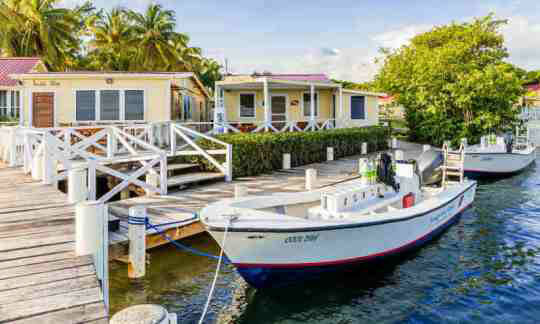 Along with superb diving at Turneffe Island, the flats fishing is well known amongst the angling community and the fly fisherman's "Grand Slam" of permit, tarpon and bonefish is regularly achieved here. The catch and release policy still allows you the opportunity of observing them later on the reef, though we doubt they'll be quite as happy to see you. 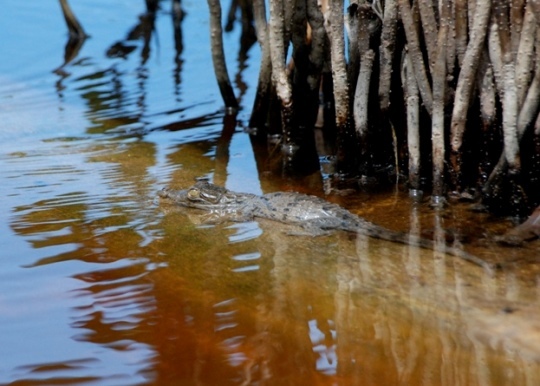 Kayaking through the creeks and lagoons in the interior of the atoll is a great way to spend the afternoon and you may be fortunate to come across one of the American crocodiles that inhabit this area. But don't try touching them or you may find your gloves don't fit quite so well afterwards. Bird watchers will have a long list to tick to tick off. Over 60 species have been recorded at Turneffe including ospreys, many species of heron, and the wonderfully named great breasted mango. 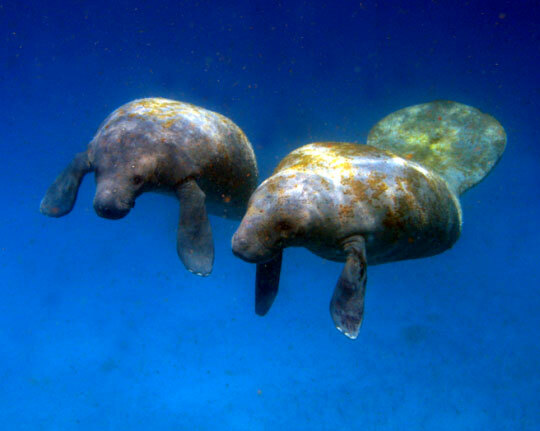 If you're not lucky enough to see them on your dives, then take a tour around the atoll looking for bottlenose and spotted dolphins, and the West Indian manatee. These huge, passive creatures, a close relative to the elephant, lumber around the lagoons and creeks searching for fresh sea grass to supply their massive appetite. Occasionally they visit the open water and then you might be lucky to see them whilst snorkeling. 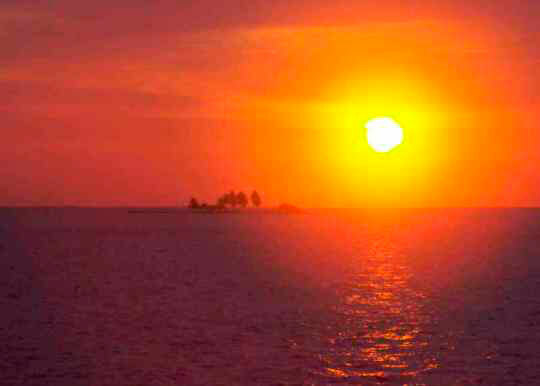 Archeological studies indicate that the Mayans inhabited Turneffe Island by 400 BE, establishing fishing villages here and trading with the mainland. In 1625 Spain charted the atoll and through the 17th century pirates, including Blackbeard, used it as a hideaway to ambush the Spanish ships and steal their gold and other treasures. During the late 19th and early 20th century, the atoll was used as a reliable source for the collection of sponges and later became dominated by coconut plantations. This only ended with the devastation wreaked by Hurricane Hattie in 1961. Commercial lobster catching also used to take place on Turneffe since the 1930s, the atoll being one of the primary producers of spiny lobster in Belize. However, in recent years lobster populations have collapsed due to overfishing. A similar story has marked the decline of conch populations too, once a staple food for Belizeans. 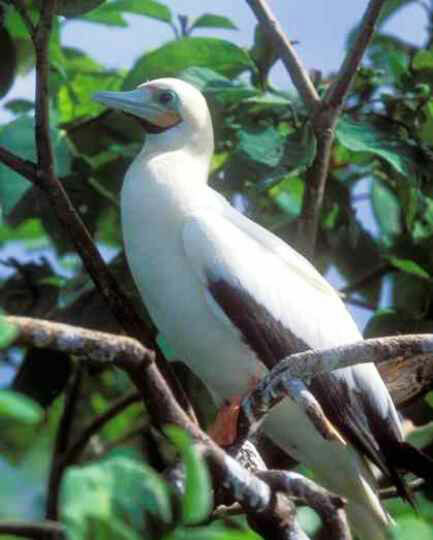 The good news though is that the whole atoll was declared the Turneffe Atoll Marine Reserve in November 2012. Now the marine life has been afforded some protection as the reserve is divided into no-take, restricted use and fishing zones. There is an oceanic research station outpost on Blackbird Caye. Warning: the mangroves are a natural breeding ground for mosquitoes and doctor flies; sand flies are prevalent on some of the beaches. Bring plenty of bug lotion/cream in order to avoid being bitten. They are less of an annoyance when the climate is cooler and dryer from November through May. You are not going to find clubs or casinos here, so you pretty much have to make your own entertainment. All the resorts have their own bars and high quality restaurants to center your evening around and maybe meet some like minded new friends. There are no shops on the atoll and the most that you could hope to buy is a souvenir t-shirt or such like. If you'd like to pay with cash, make sure you bring enough with you as there are no ATMs or banks on Turneffe either. Most of the resorts will accept payment by credit card but check with us first to make sure. There are no transportation options available here other than the speedboats and passenger boats provided by the resorts themselves.